LIBIS computer programme – a self-service tool for issue and return of books. Box outside library for document return. 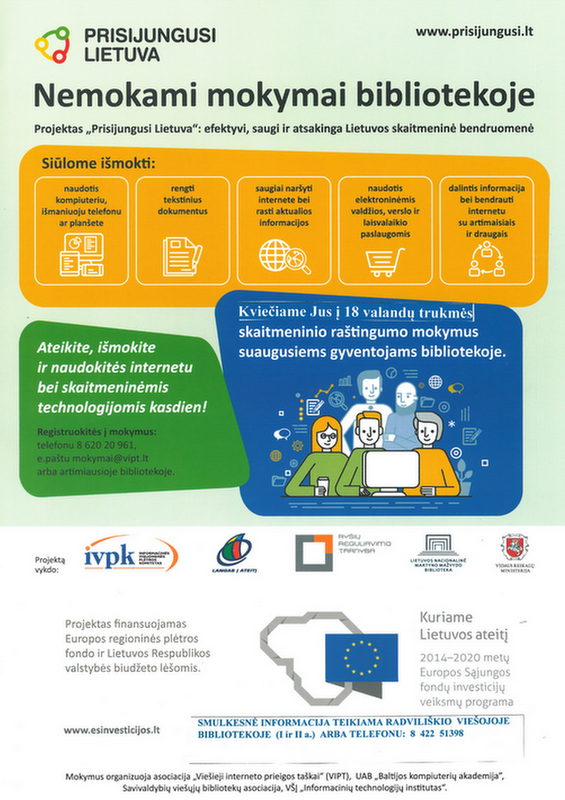 Inter-library loan service (provides possibility of ordering and obtaining documents from stocks of other libraries). Home delivery service of books for the elderly and disabled (upon request). JAWS and MAGic computer programmes for blind and visually impaired users. Exhibitions of themed and personal literature.